American Airlines CEO Doug Parker spoke at the J.P. Morgan Aviation, Transportation and Industrials Conference today. needing to pay employees more, that they wouldn’t pay frontline employees less than United or Delta. That may ultimately be necessary, but won’t make investors happy — the worry isn’t just higher wages leading to less profit as Parker suggests, but a ratcheting affect where American’s raises lead to Delta’s raises and then higher American wages. It will be interesting to see that play out. the importance of investments like new Flagship lounges and Flagship dining, becoming globally competitive, arguing that quality of product is going to be a key differentiator now that the three legacy airlines all have comparable global route networks. He also noted that the retrofit of 767s is complete, and that the 757s will be done next year. From a customer standpoint, though, the one piece of ‘news’ that I heard in the presentation was about Basic Economy fares. American announced that they would introduce stripped down Basic Economy fares back in their October earnings call. In their January call they announced that these fares would be introduced in the second half of 2016. We’ve expected to see something along the lines of Delta’s Basic Economy fares. Delta introduced fares without seat assignments and with no changes permitted to compete against Spirit Airlines — the idea was to offer less, something closer to what Spirit offers, when matching price. Delta now plans to roll these fares out to international markets where they don’t have the same degree of ultra low cost competition. At Delta elites don’t get upgrades on these fares. 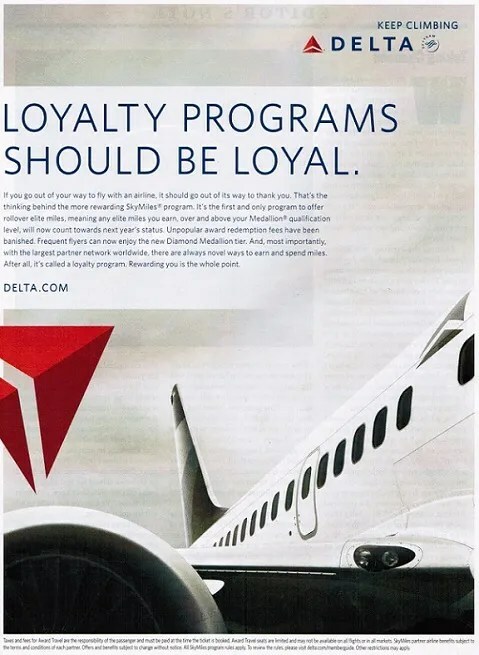 I’ve long said that Delta’s elite frequent flyers need to shout from the rooftops, “I am not my fare.” I am a valued customer, or I am not, and how welcome I’m made to feel should not change between Tuesday on a full fare and Thursday on a discount one when I’m buying a ticket pretty much every week. Now we know that American is continuing to manage by doing what Delta does. They think their elite customers will give them more revenue to be eligible to upgrade. They’re asking customers to play a lottery, because of course elites whose upgrades do not clear won’t get refunded the difference of the higher fare they had to buy. American has said that 87% of customers fly the airline 1 time per year or less, and represent 50% of the airline’s revenue. That means more frequent flyers are only 13% of customers but contribute an outsized 50% of revenue. Eliminating the chance of a domestic upgrade from some fares will slap these customer in the face. Maybe United will do it too, in which case there won’t be a real escape. With American’s March 22 devaluation I said that American had figured out how to reduce the value of the program just enough to avoid being worse than Delta or United. That seems to be the model here as well. However, if United doesn’t follow suit when they introduce their own version of basic economy (which they intend to do) they have the opportunity to pick up a lot of business travel from customers whose employers require them to buy the lowest fare. Alaska Airlines once advertised that the cuts had gone so far other airlines would soon be charging to use the lavatory. American’s basic economy fares won’t go that far. American still offers more legroom than Spirit even at the same fare, and doesn’t charge for carry on bags. So they’re a better value. If they simply continue to ape Delta, they’ll offer AAdvantage miles on these fares (which in the new revenue-based earning model isn’t being that generous). AAdvantage miles on low fares will still be better in my view than Spirit Airlines Free Spirit miles. Besides, Ryanair’s the one that for years has been promising to charge for the lavatory and hasn’t ever done it. The thing is most Basic fares I see are ‘only’ $20 less ($40 for TATL) TPAC Basic fares are always MORE expensive than regular fares.. Even as a silver, I would pay the $20 dollars to get my exit seat. According to American, 13% of their passengers account for 44% of their revenues. The top 1% generates 19% of revenue; the next 12% account for another 25%. 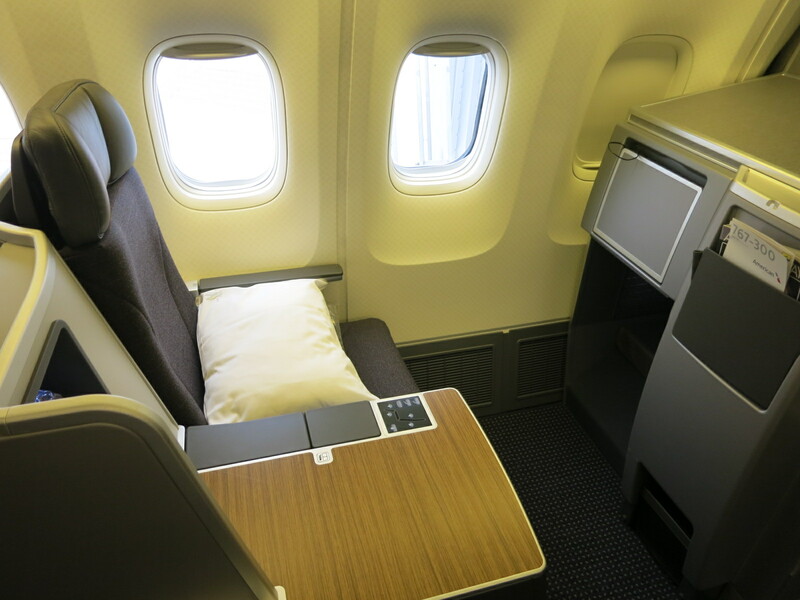 Regarding Basic Economy fares…Like Delta, AA is designing its Basic Economy fare to be as unattractive as possible to the business traveler – especially the corporate traveler, which is a critically important business segment to AA. The Delta Basic Economy fare doesn’t allow voluntary same-day itinerary changes. Ditto the traveler’s inability to pre-select a seat at time of booking (seats are assigned by DL at check-in and generally cannot be changed). These are generally considered to be more important to business travelers and corporate travel managers than upgrades. I would expect AA’s Basic Economy fare will include similar restrictions. Corporate travel managers generally require/encourage use of the lowest logical fare, and the inability to voluntarily change flights and pre-reserve seats tends to exclude these fares from being considered “logical” for corporate travelers’ use. Toss in the meager savings, and I bet travel managers would probably say that the savings aren’t worth the hassles they’d get from their travelers. I’d expect they’d extend this logic to AA’s Basic Economy fares as well. I believe the corporate booking tools (such as those from GetThere, e-Travel, etc.) allow a travel manager to suppress fares by inventory bucket. If so, the travel manager has the option to suppress Delta’s “E” fares (the inventory bucket used for DL’s Basic Economy fares) if they don’t want their employees to book these fares. Again, I would imagine that those who wish to do so will choose to suppress whatever inventory bucket AA decides to use for its Basic Economy fare. For the independent/individual business traveler, especially those who book using an airline’s website, it will be important to ensure they book the fare they want — meaning the airlines will need to be crystal-clear in how they present their Basic Economy product, and remind travelers (especially elite-tier loyalty members) of the product’s restrictions. For some independent/individual business travelers, saving $40 on a round-trip business ticket is important and meaningful. It’s a calculated trade-off, and an individual decision. Airlines are shifting from “fares” to products. The Basic Economy “product” is intentionally stripped-down to be tangibly inferior to what we might view as the “regular” Main Cabin/Coach product. Part of the intentional inferiority of Basic Economy is the lack of upgrades. There’s nothing wrong with that; in fact, there’s everything right with it. We see it in autos, electronics, fashion, and other industries. It’s a deliberate ‘stairway” from a less expensive, but less complete/less appealing “basic” product to the more complete, more expensive “deluxe” products. You may not be your fare, but you are very much the product you choose to buy. UA is already set to go on the basic economy fares, they are just waiting to flip the switch. Right now they are in ‘wait and see’ mode because they’ve spent ALOT of money on IT to make this happen and have created many options they may use. The company is waiting to see what DL and AA do definitively before deciding which parts (i.e. benefits) to turn on and which to shelve for now. This is related to trying to obtain more revenues for elite customers. I flew from LAX to JFK recently on American. I am Executive Platinum, so I have unlimited complementary upgrades. My upgrade did not clear before the day of the flight but there were a couple of seats left. I was shocked when I picked up my boarding pass at the airport and the system offered me an upgrade for $40. I turned it down, and my complementary upgrade, not surprisingly did not clear. I am sure American thinks this is a way (like basic fares) to obtain more revenues from elites. Wait…you turned down a transcon upgrade for $40? I’d probably value increased productivity a little more than that. I got news for you Gary. Maybe you haven’t flown UA for a while, because you’d know that CPU upgrades are a mirage if you’re flying popular business routes from hub fortress airports like IAD, ORD, SFO, and IAH. Even 1Ks rarely see upgrades on these routes. So sad to say but eliminating upgrades on the cheapo fares really won’t have a measurable difference on UA, except perhaps on those rare leisure trips to second-tier cities. Now I hear that CPUs are actually far more common on DL and AA, so I can see how that would really hit elites in the gut. But really, that just means that DL and AA elites will now have to consider whether it makes sense to buy up to F or fly in E+ as we do on UA. At this point UA already has a competitive advantage because UA miles > AA > DL skypesos. So any reductions to elite perks on DL and AA will just drive more customers to UA. @Flyer Fun – It did not offer you an upgrade for $40. It offered you to buy 500 mile upgrades for $40. The system is too dumb to know that you don’t need them as an EXP to get the upgrade. Just like how the system offers you to buy into Admirals Club when you’re on itineraries that would grant you access anyway. @Boraxo I flew United on Thursday, and I’m replying to you from onboard a United flight right now. @Reikon, You might be right. I was running late and was trying to get through the screens as fast as possible. However, it would have required 5 $500 mile ($200) upgrades, as it was a cross country flight. Also the available seats for upgrade were disappearing at a really fast rate. It the system was offering $40 upgrades, that would explain it. @Boraxo, On the principle of the thing. I do not like take backs. Great. Since my company pretty much requires us to take the lowest fare (within a certain percent), I will never, ever, be able to use the 100+ 500 mile upgrades that I have and will continue to accumulate. Maybe I will be wrong on this…. My AA Platinum status is looking more like a tin foil chewing gum wrapper…..
I’m noticing on searches this week from LAX-MIA that AA is beating Spirit’s $99 fare with a $91-94 fare that on these nonstops uses 777 with 3-4-3 seating, and charges for every single aisle and window seat on the plane $34-$64. This must be the new Basic Econ fares, but what the customer immediately notices is the take back on any decent seat selection whatsoever. They have actually engaged Spirit – SPIRIT! – in a race to the bottom. Not only will I not fly these flights, but I’m only flying AA after 40 years until the day they stop giving full mileage credit. Their website says this will be mid-year but I wonder if they will sneak it in like UA did at the bottom of a confirmation email which I immediately canceled and quit them after 40 years, too. @Gary and @Henry — Yours are certainly interesting perspectives and I appreciate you both taking the time to share them. To rebut Henry a bit, though, (and Gary’s comment about Spirit’s FF program) why would I pick AA over Spirit? Let’s say I’m the extremely price sensitive customer that UA/DL/AA have all very suddenly woken up to and they’re designing products to appeal to me. If the big 3 are essentially removing their FF programs from the equation (and moving to revenue based earning is basically removing it as it becomes a 1% rebate), why would decide to fly with them? And why would Spirit’s program be so terrible? Spirit’s FF program awards miles based on… well, miles flown. Spirit has an “old-school” award chart based on distances. There’s room for outsized value in Spirit’s program. And since the customer has already decided that Spirit’s product is acceptable for their needs, why would they suddenly find Spirit unacceptable when it came time to redeem their points? It’s not “aspirational” but it is practical and the folks flying Spirit could probably care less about saving up for a ride in business class, especially since the Big Front Seat is so affordable. The point I’m getting at above is that the frequent flyer program suddenly becomes a point of differentiation because of how the big 3 US carriers are developing these “basic economy” fares. And that differentiation disproportionately benefits Spirit. The big 3 are so afraid of cannibalizing their own business that they’re *still* going to be chasing after Spirit’s traffic. That leaves the big 3’s primary benefit being their route network and frequencies, as Gary rightly points out time and again. And the price conscious consumers AA is so carefully chasing after without cannibalizing their own traffic… well, I’m guessing they just don’t care about the route network. At least not enough to pay. So, the very consumers AA claims to be very selectively trying to chase are unlikely to find AA’s product to be differentiated enough to be appealing. Existing customers are going to be pissed. Price shopping on Google Flights is about to get hellaciously more difficult unless they add a “basic economy” seat type. Consumers on every side are going to get pissed off from the confusion. AA et al will have nothing to show for it all at the end of the day, except some marginally cannibalized traffic, and marginal market share in the “basic economy” product segment. Oh, and a more complicated and costly IT system to maintain. Yes, the big 3 US carriers should probably be chasing this market segment, as it’s a big part of the future of aviation in the US, but they do have to compete with Spirit. Right now, they’re not. Doug Parker has officially ruined AA!